China Bar began as a patented mining claim that got its name from Chinese gold miners who spent a couple years on the bar reworking the property after white settlers had moved on. Later, in the 1930s Clyde and Don Smith picked the location as one of their bases for Salmon River Tours. Don's son Bob continued the outfitting business for many years at this location. Then in 1981 Mike McLain started learning the ropes with Bob Smith's guidance. He took over the business eight years later when Smith retired. McLain has now been working out of China Bar for more than two decades. My wife Brenda and I have raised our 3 kids on the river in Riggins, Idaho. This small town is centrally located between the	Snake and Salmon Rivers surrounded by the Wilderness area's of North Central Idaho and make this the perfect location to experience the best wilderness adventures Idaho has to offer. I started guiding 20 years ago and still enjoy every day on the water. I have always loved sharing my passion for the river,fishing and helping others experience the Idaho wilderness. Living and fishing in Idaho's backcountry my whole life gives me a great apreciation and knowledge of the river, it's fish and it's history to share with our clients. "Excellent doesn't quite describe it. Let's go for Outstanding! My family truly enjoyed the experience and appreciated the warm hospitality. Your crew...worked hard and had a truly inviting and warm manner throughout. It was admirable for them to put together such a bountiful meal at day's end. .... Looking forward to our next trip with you!" Salmon River Tours operates under a special use permit issued by the North Fork Ranger District of the U.S. Forest Service. 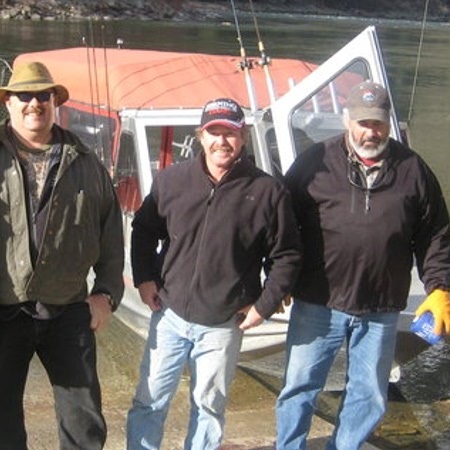 Salmon River Tours is a bonded and insured outfitter, licensed by the State of Idaho. Salmon River Tours is a proud member of the Idaho Outfitters and Guides Association.